Here is the inaugural issue of Voice Insider. To sign up for the weekly newsletter through Patreon, click the button below. 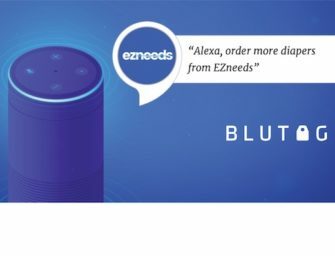 Think Tank / Does Amazon Still Care About Alexa Skill Volume? Many people have told me that Amazon indicated 2018 was all about high quality Alexa skills. There was no longer the mad dash for raising the count in the Alexa skill store. What Amazon wants now was more engagement. The concern was twofold. First, there is what is affectionately referred to in the industry as the Alexa skill graveyard. It’s the detritus of skills people launched on a whim because Amazon and others made it so easy to launch skills. But, analysis from both Dashbot and a collaboration between Voicebot and Quentin Delaoutre in 2017 found about 60% of skills had zero reviews. Not even the developers’ mothers cared enough to throw a sympathy 5-star review. Since that time, developers have told me that Amazon has even approached them and suggested they needed to update their skill or could ask for it to be removed (or, it would be removed). On the surface, the data looks like it supports the notion that Amazon is less interested in volume than in quality. Amazon today sits at 38,790 skills in the U.S. Alexa skill store. It passed the 30,000 skill mark on March 22nd, 200 days after reaching 20,000 skills. That was slower than the 166 days it took to go from 10,000 to 20,000. During that earlier period an average of 60 new skills were launching each day. The slowdown from 20k to 30k say that average drop to 50 new skills per day. But, we seem to have a rebound. Since March, Amazon has seen Alexa skills rise at an average of 62.5 per day. Here is the rub. That is a declining growth rate. 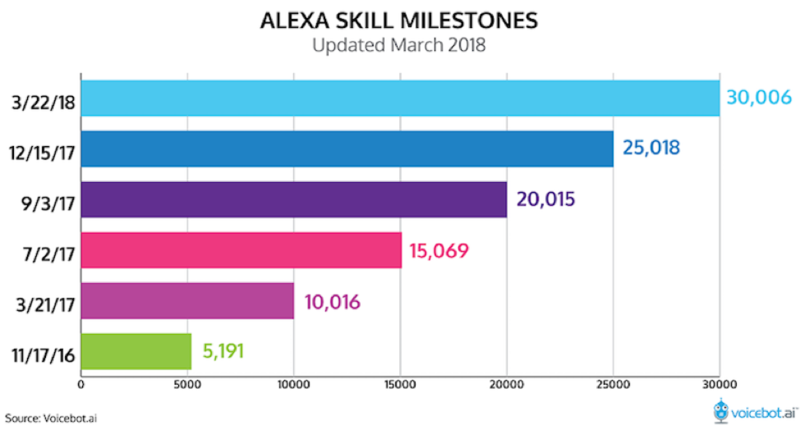 The Alexa skill count rose approximately 9% per month in the 10k – 20k period, 5% per month in the 20k – 30k period and 4.8% in the currently in-process 30k – 40k period. The current rate could be slightly higher if it is offset by older skills being removed. We should expect the Alexa skill count in the U.S. to reach 40,000 in about 19 days at the current rate of growth. That would put the fourth 10k bucket of skills at 179-180 days. But, I suspect that it will be faster. Why? Amazon is running a couple of special programs right now in the U.S. First, there is the Alexa Skills Challenge: Tech for Good. That involves $122,000 in cash prizes and to be eligible skills must be live no later than October 1st. 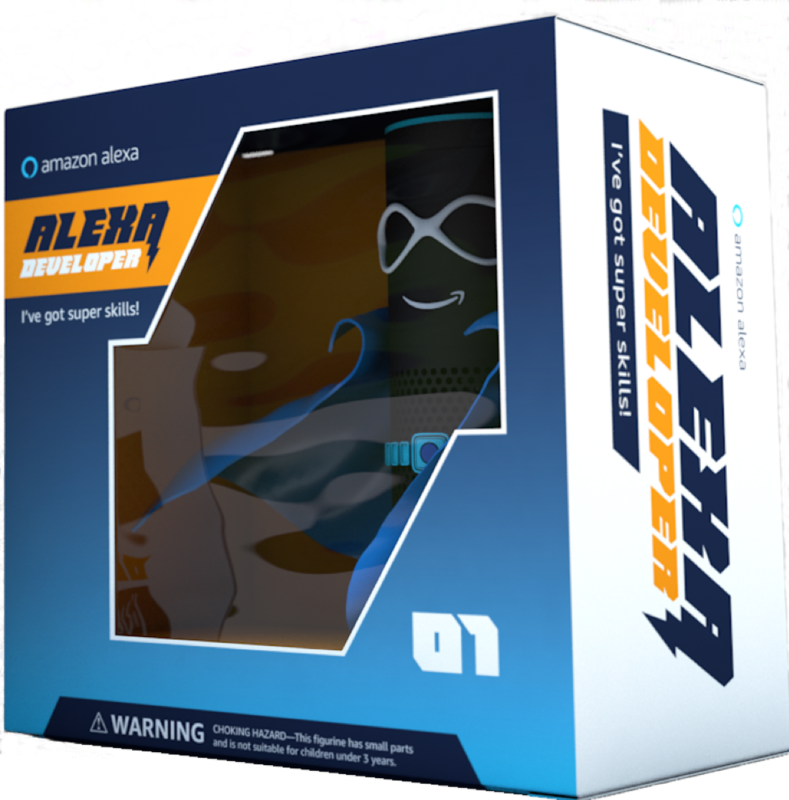 Second, there is a developer incentive to publish five Alexa skills between July 24th and October 31st to earn a limited edition Amazon Echo collectible outfitted like a super hero. Sweet! Amazon definitely wants to have more skills that have high engagement rates and fit that “quality” label. However, don’t think the company has abandoned the strategy behind skill store scale. The more skills, the more likely there are a large number of high quality offerings for consumers to use and the better likelihood of finding a breakout success. Certainly, Amazon doesn’t want the first big breakout (beyond ambient noise skills of course ;^) to be on Alexa and not Google Assistant. Expect to see another push for more skills in targeted areas in the coming months. As for non-U.S., there is still a need to build up the base level of skills. The new Alexa Skills Challenge for games in Europe should help drive up totals in the UK and Germany as €50,000 in cash prize money offers clear motivation for developers to build, build, build. In this week’s Voicebot Podcast, Nick Schwab discusses the importance of positive user reviews in surfacing your voice app for discovery in the skill store or through voice search. The more high-rated reviews you have, the better for your organic discovery. Nick knows a few things about reviews and voice app discovery. He has the highest rated Alexa skill and six of the top twenty. He also has one of the highest rated Google Assistant Actions. One thing Nick does is look at the less than 5-star reviews and if there is something he can fix, he does so and contacts the reviewer to let them know of the change. This often leads to the reviewer updating their rating to more stars. So, consider that pro tip #1. But, that’s not all. Google doesn’t have a method for contacting reviewers. That means there is no way for you to contact a reviewer to let them know you have addressed their concern. So, Nick said he was told by someone at Google support to leave a review himself and reference the previous review so subsequent readers see that you addressed the issue. This doesn’t really solve the problem because the likelihood of the reviewer showing up again, seeing your note and updating their review is very low. However, it is a hack to reduce the collateral damage from a legitimate critique that you went ahead and rectified. Consider that pro tip #2. The Alexa Prize Finalists will be announced through a live stream on Twitch this morning. The Alexa Prize is the challenge to researchers to build a conversational bot that can hold a humanlike conversation for up to 20 minutes. They don’t quite make it, but definitely are moving the industry forward. This is the award’s second year. You can watch a replay here. IFA is the CES of Europe and it starts tomorrow in Berlin. Have you noticed a number of new smart speaker announcements this month? These are typically pre-announcements to build buzz in advance of IFA. Whereas CES tells you what will arrive in the coming year, IFA shows you what will be sold during the 2018 holiday season. Get started on your Alexa Skills Challenge for Games this week and stake your claim to a portion of €50k in prize money. But, you have to be a resident in Austria, Germany, Ireland or the UK to participate. More here. Many of your know that Cathy Pearl has moved from Sensly to Google. If you missed this take note. Cathy is well known as the author of the O’Reilly book Designing Voice User Interfaces and is now promoting Google Assistant far and wide. A strong move by Google. I suspect many of your missed Lisa Falkson’s return to Amazon where she is now the Lead Voice User Interface Designer for Alexa Communications which includes calling, messaging, drop-in and announcements. Lisa was at Amazon Lab 126 from 2013-2015 where she worked on Fire TV, Fire Phone and Echo. This is a boomerang tour. In between Lisa spent time at two self-driving car companies, CloudCar and NIO, and most recently at Adecco @ Google. She also has a recent book on on voice design. In the UK, I noticed another voice UX pro, my friend Dan Whaley, has jumped from agency Orange Bus over to BBC. It was a short stint at Orange Bus as a dozen years in UX at Sabio. At BBC he joins a team that is building the voice and AI experiences of the future. September 5th I’ll be speaking at Sonic CDX Voice and Audio Summit in NYC. More information here. A lot of big brands presenting at this one for chief digital officers including: Sony, HSBC, JPMorgan Chase, Samsung, Pandora, Nestle. Some voice industry pioneers will also be there including Doug Robinson (CEO of FRSH Digital) and Nithya Thadani (CEO of RAIN). Advance rate only available until August 31st. Space is limited on this one. On October 1st, I’ll be at Advertising Week in NYC. More information on this in next week’s newsletter. I am also scheduled as the keynote speaker at The Alexa Conference on January 15th in Chattanooga, TN. This is looking like it will be a pretty big conference this year, is sponsored by Amazon and will be right after CES so lots to talk about. It will also include a Fortnite Tournament. What? You can learn more here. Google is About to Take Over Europe’s Biggest Tech Show – Discusses how Google Assistant looks to be as dominant at this year’s IFA as Alexa was at CES 2017. Latest Apple AirPods 2 Release Date Prediction – Reviews current status of water resistant AirPods and the fact that we might see a waterproof case first. Also discusses the likelihood of a lower cost HomePod revealed at Apple’s September hardware event. Google Assistant Data Show Different Usage Patterns by Device and Time of Day – Some intriguing data released about Google Assistant use on smartphones versus Google Home. Subscribe to Voice Insider and don’t miss an issue.